Our Company - Tyler Mountain Water, Inc.
About Tyler Mountain Water Co., Inc. In 1971, a customer, John B. Merrill purchased the company when he started having problems getting his deliveries and asked his son, Richard, returning from active duty in the National Guard, to run it. Tyler Mountain Water Co., Inc. also incorporated in 1972 and began selling eight-ounce plastic bottles, primarily for coal companies. This product added to the one gallon and five gallon glass bottle business. A lot has changed since 1930 but the thing that remains the same, is our focus on good products, good people and good pricing. We now offer a full line of bottled water products to include packages from eight ounce bottles to five gallon bottles and we now offer a four gallon non-returnable bottle. We also offer filtration systems that include bottleless coolers. We offer office paper products and have expanded our Office Coffee Service in a big way. We offer national brands of coffee as well as regional brands. We have kept pace with the new “single cup” phenomenon that is sweeping the residential and office coffee service industry. 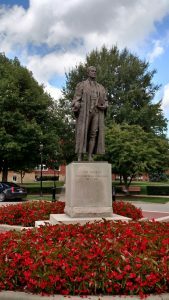 Our service area is Charleston, West Virginia, and the tri-state area. We are the industry leader with more options than any other company in our area. 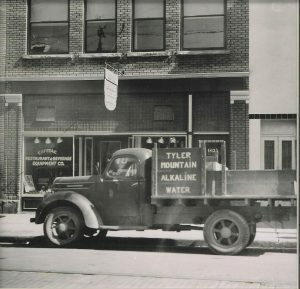 In 1983, Tyler Mountain Water Company expanded to Louisville Kentucky. We offer all of the same products and services in Central Kentucky and Southern Indiana. We are the industry leader in the market place serving more bottled water customers than any other company. We are conveniently located near the airport. Tyler Mountain’s vision is to be the leading producer and marketer of high quality products and services in the beverage industry. We are a family oriented company earning high trust from our customers in West Virginia, Kentucky, Ohio, and Indiana. At Tyler Mountain Water & Coffee, we support local law enforcement agencies, and donate to many charitable organizations. It is our belief that active participation at multiple levels will continue to make us a valuable part of the community.